That’s our affiliation with stress and anxiety: a misunderstanding. See, anxiety doesn’t arise with the intention of hurting us. Anxiety arises with the intention of helping us. But first, we must understand what stress and anxiety is and is not. We must recognize why anxiety and stress are present before we can take any type of action. Indeed, we must understand our relationship with stress before we can act intelligently. And this relationship goes back a long way: about five to seven million years. The “emotion center” of your brain – the limbic system – is the oldest part of your incredible three-pound, tofu-like brain. Anyways, enough brain biology. The hippocampus is primarily responsible for mood, and the amygdala is known for stimulating the “fight-or-flight” (FoF) response. The limbic system, including the all-important hippocampus and amygdala, are responsible for accelerated heart rate, sweating, and physical discomfort. It’s the system responsible for anxiety and stress. Though our fantastic brain has progressively evolved, the FoF is still very active. To some degree, this action is necessary. Without the limbic system, we wouldn’t care too much about this thing called survival. The difference is that it’s not some sabretooth cat we’re wary of; it’s whether your smartphone is nearby, or if your customer is happy, or if your job is secure. In short: uncertainty about anything = fight-or-flight about anything= stress & anxiety about anything. And, as we all know, relationships carry a certain degree of uncertainty. While it may not be possible to eliminate all stress from a relationship, we can remove all unnecessary stress. The first principle stems from the fact that human beings are social creatures. Our genetic makeup dictates that we seek out, care for, and love other people – including the person we eventually court down life’s path. When we’re emotionally invested in someone, it’s human nature to protect both them and us. This need to preserve our connections inevitably causes some degree of stress and anxiety. As a result, we feel acute anxiety when we lack a connection; and even a tinge of anxiety when we do. That tinge is called a love connection. Emotional intelligence is defined as “the capacity to be aware of, control, and express one’s emotions, and to handle interpersonal relationships judiciously and empathetically.” [Emphasis mine]. Putting feelings into words is a way of contextualizing something (words) from the intangible (emotions). Clearly, this skill has far-reaching implications for relationships. When you label your emotions, you feel less stressed, able to think more clearly and find it easier to come up with solutions to problems. 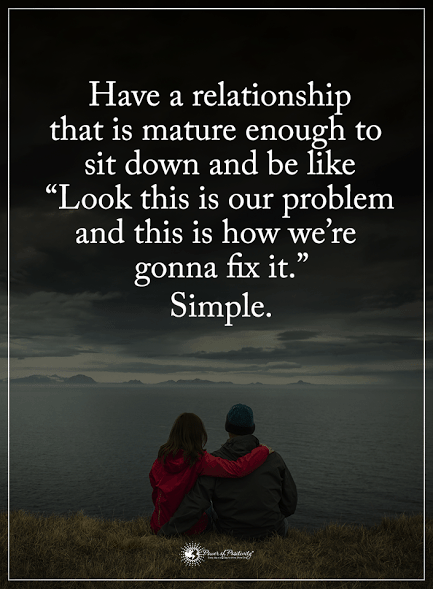 We’ve all heard the words “Don’t take it personally.” Well, the same thing applies to relationships. Even two people who’ve been in a long-term relationship occasionally make the mistake of taking their partner’s behaviors too personally. Scientists believe this to be a defense mechanism, and something that relates back to the first principle: an innate anxiety we all feel with personal connections. We all fret over the things we care about – and, for most people, their relationships are the most important thing. The level of attachment we feel to a person often coincides with our levels of stress and anxiety. For example, let’s consider the spouses of men and women in the armed forces. Even when their loved one is stateside (not deployed), there is always some amount of anxiety over long hours, (often) low pay, and – of course – the possibility of deployment. We don’t agonize over people we don’t love. Anyone who has suffered from chronic stress or anxiety (including this writer) will attest to just how taxing it can be at times. This writer decided to include “asking for help” because it is crucial to personal health and a happy life. In the throes of anxiety, depression, or a stress-related disorder (e.g., PTSD), it’s common to feel a sense of personal weakness or failure. It’s also common to attribute the condition to life circumstances, including relationships. But there comes the point where the condition’s symptoms become too much, and help is necessary. Finally, remind yourself of an essential truth: your partner loves you unconditionally, and they’ll understand.